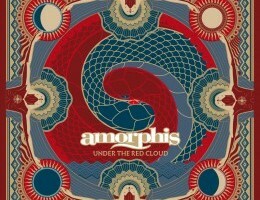 Amorphis seem to get more and more conceptual with each release, straying ever further from their death metal origins. Instead of the anger and aggression that usually characterize metal, this album has a darkness defined by sorrow and melancholia. What they sacrificed in metal fury, they compensated with the robust simplicity of folk, which has a heaviness all its own. Lead singer Tomi Jousten has a panoramic voice, spanning from death metal growls and black metal screams to full bodied, sonorous cleans. However, his vocals for this album are uncharacteristically middle-of-the-road. His vicious screams and growls punctuate rather than typify the singing style. Similarly, his barrel-chested, operatic cleans have taken a back seat to singing in a manner that is disappointingly tepid. The melodies, like the lyrics, often invoke the archetype of a nomadic wanderer or lost traveler. Although I commend the band for blurring the lines between genres, listeners may be disoriented and confused, as the musicians themselves don’t know what musical direction they are taking. 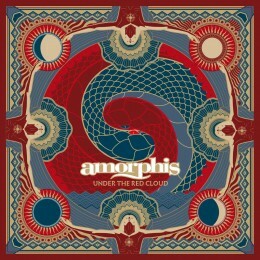 Although it is evident that Amorphis are tinkering with several different musical styles, the result is enjoyable. Three stars out of five!